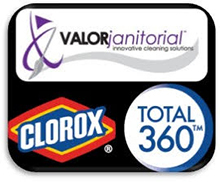 Valor Janitorial can do more than just fill your soap dispensers during each cleaning. We can make sure that you have the right equipment and products to ensure that your facility is the healthiest, the safest and the most productive facility possible. Because we buy for many companies, we get extremely competitive pricing. Because we manage the supplies, it is one less thing that you have to worry about. Because we stay on-top of the industry trends, we can make sure your facility has the most modern technology. Because we carry multiple major brands, we can truly find the right systems to fit your facilities unique needs.